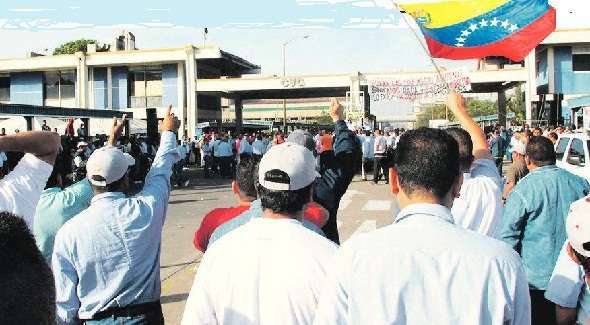 After Ferrominera’s internal election, the situation inside Guayana’s empresas básicas is getting more intense by the day. Steel-maker SIDOR is undergoing big change. Rafael Gil Barrios, current president of the CVG state conglomerate is the new head of SIDOR, on a “temporary” basis. Gil Barrios is also the regional VP of the governing PSUV and a close ally of Bolivar State Governor Francisco Rangel Gómez. Rangel Gómez was the big loser in Ferrominera’s election and some chavistas in Bolivar don’t like him at all. Some SIDOR workers are protesting Gil Barrios’ appointment and have organized a 16-hour strike. Gil Barrios is already using the “conspiracy” card to discredit his opponents. And to build up the suspense, the inventory of cabillas (steel re-bars, a lynchpin of Venezuela’s construction sector) left will last two weeks. No rebars = No Gran Mision Vivienda Venezuela, and that’s something the government cannot countenance in an election year. So heads up: this could get ugly. Next articleA new benchmark for development, ctd.